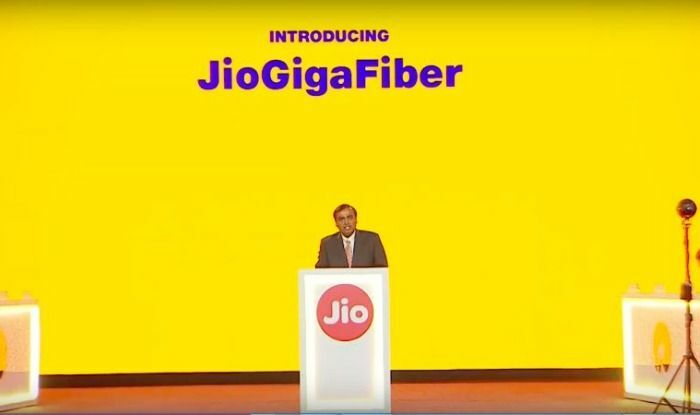 In the Annual Meeting (AGM) of Reliance Industries Limited, on Thursday (July 5th), the company's chief Mukesh Ambani announced several major announcements, of which he is also a special Jio GigaFibre. It is a fixed line broadband connection, which will speed up to 100mbps and this will make services like 4K videos, smart home and online gaming easier and there will be no interruption. It has been claimed that maximum speed up to 1Gbps can be obtained through Geo GigaFiiber. Jio GigaFibre Broadband will come in a set-top box. This will allow the TV to operate through voice command. Also, the internet will also run. There will also be a TV calling feature. Mukesh Ambani said that now we will provide the most advanced fiber-based broadband connectivity solutions for home, business, small and medium enterprises and large enterprises in 1,100 cities of the country. We have over 25 million Reliance Jio phones in India. Now we are taking it to the next level by increasing the capabilities and efficiency of the Geo Phone. JioGigaFiber is based on Fiber to the Home ie FTTH. FTTH means that if you need an internet service then a cable will be given to your home. Now the cable you get from the internet is not worth the speed internet. Speed will also be available due to FTTH. The cable used for this service provides fast connectivity compared to others. It will be better than the current cable and will get high-speed connectivity and online gaming will be even better.